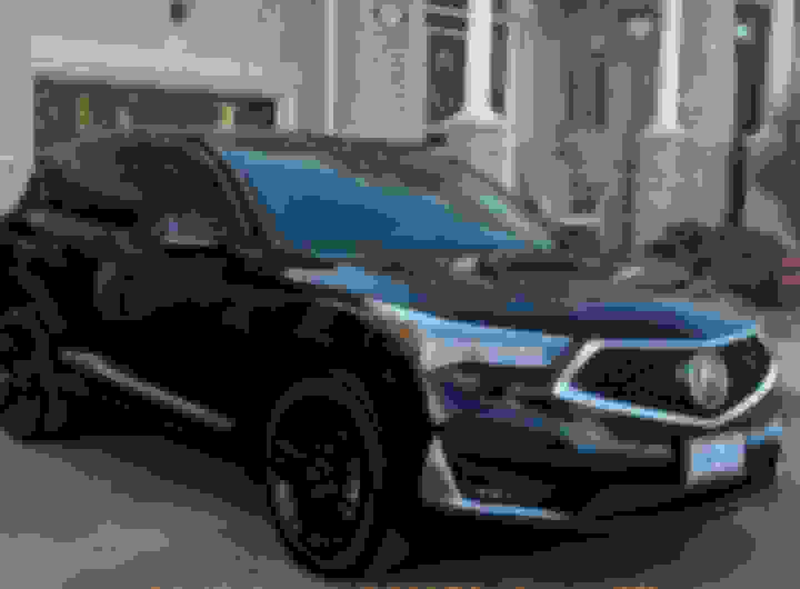 So, I know many of you went (or will be going) the route I did which was purchasing an advanced model for the features and foregoing the beauty of the A-Spec. As I've mentioned many times, I'm learning more about the "car world" slowly. Step 1 on my list when I get my car in a few weeks is to replace the rims and buy new summer rims (I imagine this is step one for most advance purchasers). Personally, I'm looking for black rims to match the black exterior. Where's the best place to start rim shopping? Any tips/advice with buying after market rims? Will the shop have the specs of the 2019 car? Or do I need to get into the nitty gritty of rim dimensions etc. Maybe we can use this group to post various options people find or the different colours that they think will look good. Any advice will be appreciated. A small part of me just wants to spend $2500 buying the alloy black acura accessory ones to save the hassle of looking for after market ones, but I know I'd be ripping myself off. The premier wheel site, Tire Rack doesn't yet have any listings for the 2019 RDX beyond tires. They have not yet specced out any wheels. The Acura Black Glint accessory wheel is very nice but, black paint on a base RDX wheel for $2,000 USD/$2,500 CAD is serious price-gouging. Last edited by catbert430; 06-08-2018 at 11:21 AM. 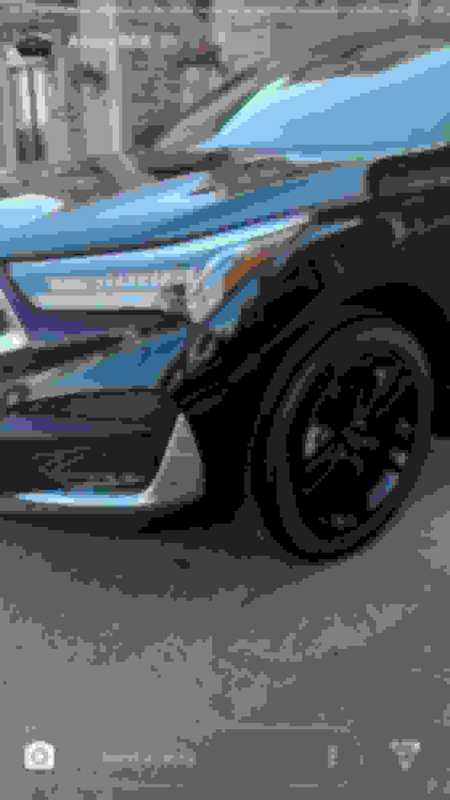 Is it feasible to make the advance rims black? plasti dip, powder coating etc. Last edited by SK1124; 06-08-2018 at 01:43 PM. you can have wheels powder coated; but it's pricey. as far as wheel specs go....you can imitate stock specs....or you can go more aggressive.. YOUR choice depending on how you want the car to look. wheels take the longest to learn, as there are tons of different specs you have to know..
Last edited by justnspace; 06-08-2018 at 02:27 PM. 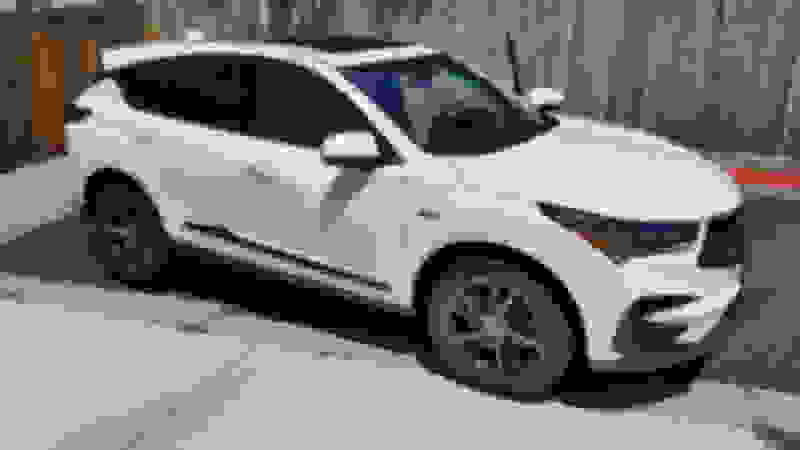 Curry Acura in Scarsdale, NY has listed the 2019 RDX accessories in their eBay store at discounted prices. Park Acura in Akron, OH listed some accessories as well. I've purchased form both of them in the past. Free shipping and no tax if you're out of state. They are offering the 19" Glint Black wheels for $1,625 and The Diamond Cut for $1,850 (you would need to buy 20" tires). Other vendors are listing aftermarket wheels that they say will fit but, to contact them before ordering to be certain. Just do a search for '2019 acura rdx' on eBay. There are several good and lots of bad online wheel sites. The Tire Rack staff is very knowledgeable, but their wheel selection isn't the best. They test fit everything, so anything they sell you will fit. Element Wheels and Car I.D. are also reputable online retailers. I take my own measurements and do my online research via the various websites and wheel manufacturer sites, then purchase from my local Discount Tire store. Discount tire has a website, too, but they can get a lot of wheels you won't find listed on their site. Unfortunately, it's going to be a little while until the complete fitment information is known. Yes, the specs are already out there, but there's more to getting a good fit than just looking at the specs. Regarding powder coating, I highly recommend it. Changing a wheel color can make a dramatic difference, and you'll know exactly how they're going to fit. You'll need to have the tires and weights removed first, then be able to live without your car for a few days if you don't have another set of wheels and tires. Expect to pay $65 to $100 per wheel for a quality job, plus dismounting and mounting costs. I recently had my 20" factory wheels powder coated for winter duty at a cost of $80. Thanks for the link. So I've decided when i get the car in a week or so I'm going to powder coat the advanced wheels black. Maybe i'll hate them less. And then I'll keep them for my winters and buy new summer rims next summer. Will show you guys how it turns out when its done. I'm picking the car up on Sunday from my buddy's shop! 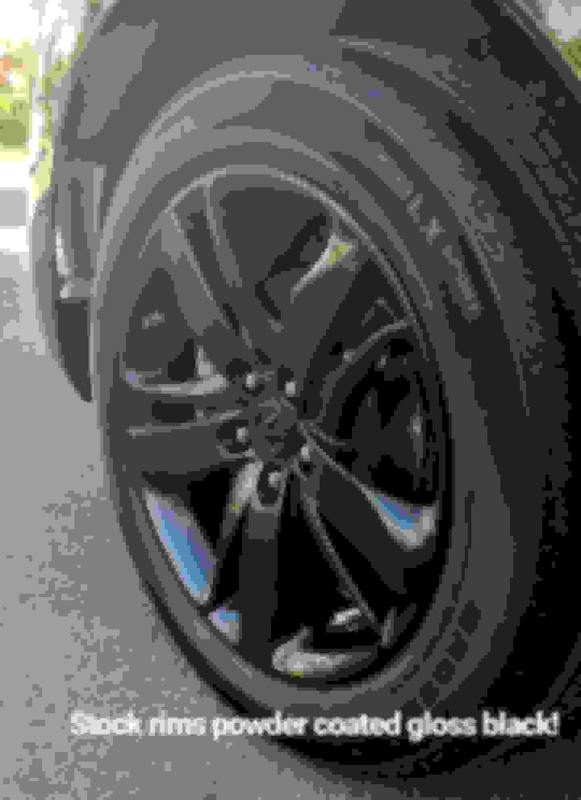 If I get some sneak peek pics tomorrow of the rims, I will definitely share. I decide to go gloss finish since I didn't think matte would match the majestic black pearl finish. Excited to see how they turn out! Snagged a few pics of the powder coated rims off my buddy's instagram. Uploading from phone so hopefully they upload right. I'll post a pic with them on the car tomorrow when I pick it up. Last edited by SK1124; 07-07-2018 at 06:04 PM. The powder coating looks really good. I suggest using the original chrome center cap and lug nuts to give them some pop. they look great. Can’t wait to see them on the car. That completely transforms the look. Nice! Waiting to see what it looks like on your car. Picked the car up pretty late so didn't get a chance to snap some of my own before the sun went down. However, my buddy posted a few on his instagram. I am in love with how everything turned out. The tint and the rims really add that aggressive touch like the A-spec. The car just shines amazingly in the sun with the coating. Highly recommend black! Oh, wow... that totally transformed the exterior! My dealer offers that service for about $700. Plus they will give you a loaner for a day while it gets done. This looks like a good option!! They look sweet! How long did it take and how much did you pay? Thanks! I got everything done as a package so hard to determine what i paid specifically for the powder coating. 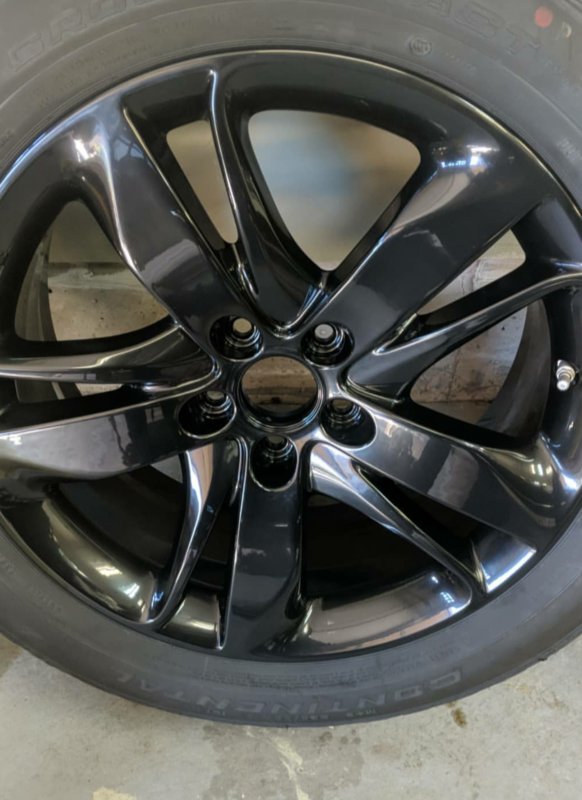 With that said, in the Toronto area they typically cost been $150-$200 (Canadian) a rim which includes taking the tire off, powder coating, and then putting the tire back on again and balancing them. If you just have the rims without the tires on them you can get a bit more of a discount. It shouldn't take longer than a couple of days. If you don’t mind me asking what package did you get? No worries. I got paint protection film applied to a significant amount of the car, got the entire car (and rims) ceramic coated, tinted the front windows to match the factory rear windows tint, and lastly I got the rims powder coated (the center caps were plasti-dipped). Your likely right. And if you can't get rid of them you could always use them as your winter wheels. I would have done that if it weren't for getting a great deal on everything from my buddy. So just said "screw it, lets try it!" and worse case use them as my winter rims. 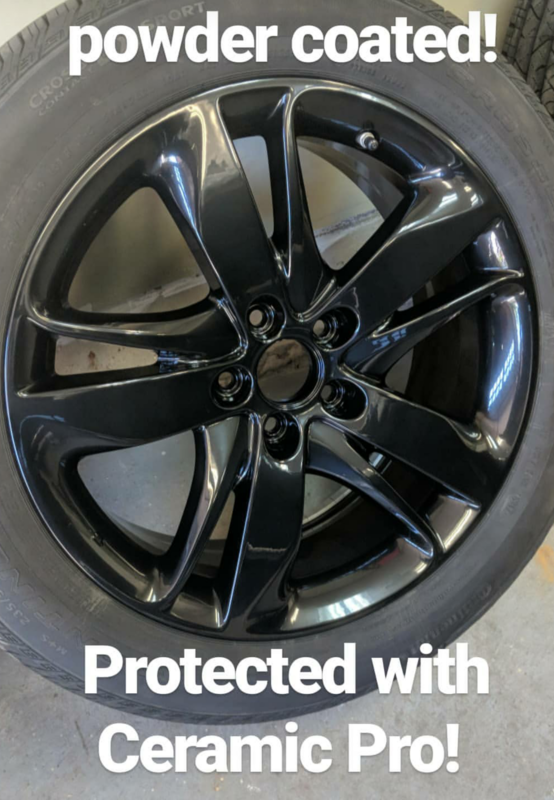 Either way, powder coating or buying third party wheels are both much better options than spending $2500 at a dealer for one of the accessory wheels. Just have to see what's the best option for you! True, plus us Cali folks are like, ‘winter wheels’ what that be? Also I’d try and get a little bit wider wheels than stock. Huge improvement! Price sounds a little steep, but if you're happy, it was worth it. So, you're saying you have to put 20" tires on those 19" wheels?? Not going to happen! LOL! diameter of the tires are exactly the same, 29.1" and that is a key issue. These wheels, to me, look much better than the OEM 20's, and this set up got a lot of attention at the dealership. This wheel has lots of black in it, but, does have some polished spokes and the narrow rim edge is polished, so, it gives them some contrast. They have the chrome A in the center cap on the black disc. I'm using chrome lugs. Yes, they List for $1,860, but, I get 25% off all accessories I buy there, so that made them $1,395. Yes, my tires weren't cheap, but, they are the ones I wanted. With $1K back on the OEM's, my wheels cost me $395! No. I said you would need 20" tires for the 20" Diamond Cut wheels but, that the 19" Glint Black use the OEM 19" tires on the Advance. Enjoy the 19" TLX wheels on your new A-Spec. I'm sure They look good. Last edited by catbert430; 07-12-2018 at 12:07 AM. Thank you. Those wheels look great on the A-Spec. Not so much black...had to break it up with a little polished aluminum with those wheels. And, sorry, but, if you re-read how you wrote that sentence, it looks like you were saying putting 20's on 19's. Read it and you'll see what I mean. You didn't say it as you did when you just answered my post. Some folks that are just not "savvy" when it comes to some issues with cars....you know....lawyers...Dr's, etc....LOL, could get real confused on how we word things. How about posting some photos of your RDX with the diamond cut wheels installed? Good choice in tires as well. Thank you. I just had to break up the all black/dark grey look of the OEM wheels. I didn’t see what year tlx are those wheels? And hows the break clearance in the front? You think it’ll fit 18s? 2018 TLX, 19" Black Diamond Cut wheels. Of course they clear my brakes. Sorry, but, they wouldn't be on my car if they didn't. And I don't understand your question about 18's???? What??? im sure they clear your brakes, i was asking how is the clearance? Does ir look tight is there lots of space? I ask the clearance to see if you think the brakes will clear 18 inch wheels? And hows the break clearance in the front? This is what you asked me....your words...misspelled brake.....but, anyway.....so, that's clear enough....sorry...you asked about the "break clearance in the front." Again...now you're saying....how is the clearance? It's all fine..good no issues. Don't know what else you what with that. wheel. But, moved on from that idea....to what I knew would work....the TLX 19's I put on it. 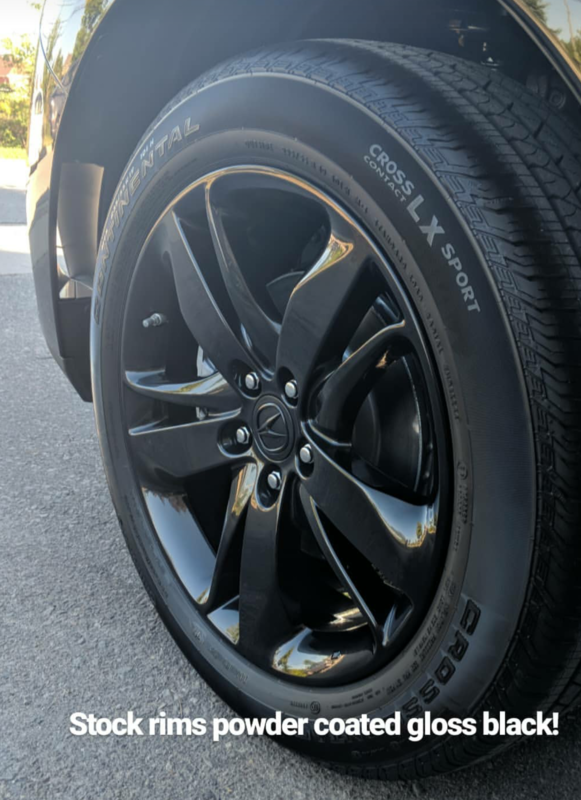 I have been pondering winter wheels, so today I test fit a 17” aluminum wheel and tire on my 2019 RDX Advance. No issues with brake clearance. The wheel tested was a 1st-gen MDX wheel, 17x6.5 inch, +45mm offset. Obviously, this implies that there should be no problem with an 18” wheel and tire, as long as the width isn’t too crazy.